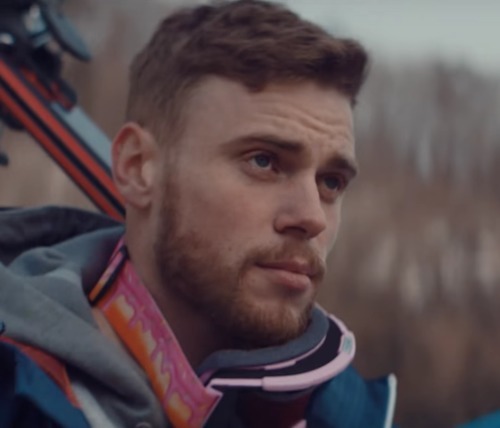 Samsung, a sponsor of Olympic skier Gus Kenworthy, has released an ad that includes a letter of support from his boyfriend. Matt Wilkas, the boyfriend, tells Kenworthy that he’s proud of him and happy for him. He also says that he has been sleeping on his side of the bed, leaving Kenworthy’s side of the bed free. The video also includes a message from a fan named Dan, who tells Kenworthy, “People, when they look at you, think ‘I can do anything and be gay. '” Another fan tells Kenworthy that the Olympian inspired him to come out.